Your Porsche has been built to a world-standard of engineering, performance, and quality. Therefore, it’s of the utmost importance that the only hands that touch your Porsche are factory certified. Whether you’re getting a simple oil change or require a serious repair, the service center at Beverly Hills Porsche in Los Angeles, CA has you covered. Read on to learn more about the services we provide, or reach out to our service team by calling 888-711-2748 or using our online contact form. Our team of service specialists are dedicated to helping your Porsche sports car last for several more years of fine motorsports enjoyment. While your service manual will help you better understand your Porsche maintenance schedule. However, at Beverly Hills Porsche, we understand sports car requires special attention. We’ll be more than happy to work with you in any way to ensure proper maintenance of your Porsche automobile, including developing a maintenance schedule that works with you. Nobody knows the ins and outs of every Porsche model like our factory-trained and certified technicians. 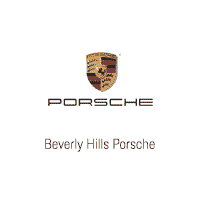 If you want your Porsche oil change completed promptly and without issue, then you need come to Beverly Hills Porsche. Be sure to check with you owner’s manual to ensure you stay on your recommended schedule. From carbon rotors to ceramic pads, our team has access to exclusive factory Porsche OEM parts you need to keep your sports car running-and stopping-like it was always meant to. Keep your most important safety features working properly with regular brake maintenance at Beverly Hills Porsche. Are you ready to schedule your Porsche maintenance appointment? Schedule an appointment online or by giving our service team a call at 888-711-2748. We’re ready to keep your Porsche on the road for miles of thrilling performance.